Modular factory Sales Managers come in all shapes and sizes, all personality types and all kinds of temperaments. The one thing they all have in common is a sales staff. The sales rep is the heart of any business and the modular home industry is no exception. Sales Managers have to answer to upper management and lead the sales staff. Not an easy job on the best of days. These 33 things below do not happen in every factory (if they do, the factory owner needs a new Sales Manager) but I'm sure both Managers and Sales Reps will recognize some of them happening right now at work. Your sales reps have too many sales reports and many of those reports never get read. What is in these reports is usually just enough to keep the Sales Manager from having to scream at the rep.
You are not doing enough sales training. Want Proof? Find out how many sales reps can describe the steps in the sales process to recruit a “new to modular” home builder. Your order process is too long and complex. You recognize the wrong sales reps and for the wrong reasons. Only three things matter; YTD Commissions, YTD Percent of Close to Quote ratios and Number of New Builders with an order. That’s the only way to improve the bottom line. Email trails grow longer because the focus is no longer on selling; the focus is on “CYA”. The sales reps’ funnel is filled with unqualified prospects that will never buying anything. Sales activities for the sake of activity will not generate one penny in sales. Management spends too much time forecasting sales and not enough time helping sales reps close sales. Product training explains the features and benefits of a product but the Sales Manager can’t tell the sales reps how to sell it. Product training IS NOT sales training. Get your entire sales organization focused on sales skills and you’ll improve performance. Your sales brochures come off a printer in your office. Second rate quality is obvious to your builders. It is better to have one high quality brochure than several second rate ones. Not a single sales rep knows your company’s Mission Statement. Do you even have one? You don’t take the time to learn why your sales rep lost an order. Also, you don’t take time to learn something when you win an order. Knowledge is power. Sales meetings should be 1/3 review, 1/3 sales training and 1/3 preparation. Meetings to review what might have been are counterproductive. Your in-house sales staff is given a heads up on everything while your remote or field staff has to hear about it through the grapevine. It is not the field reps fault they can’t walk into the Sales Managers office and ask questions at the drop of a hat. You don’t circulate the best practices of your top sales reps. Why the secret? Fix this and fix it quickly. When was the last time you reviewed and discussed a previous sales promotion? Never! Yeah, that’s about right. Your sales team is never supplied with sharp answers to the most common sales objections they face every week. Do you even know what they are? 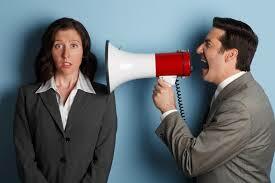 Do you listen to your sales reps? It’s been years since a sales rep asked for a referral from another builder. Why? Are they afraid that the builder would not recommend the factory? Management never goes into the field to see what today’s builder is doing. Sales reps spend hours entering data into a prospecting database like Goldmine that no one ever uses. Sales reps should be out in the field where they can increase sales. Your casual dress code has gotten just damn relaxed. There are too many emails and texts and not enough phone calls. There are too many arguments about territories and account ownership and each argument is resolved using different standards and guidelines. Disappointed sales reps will do little to help corporate sales performance. You have too many sales rep turnovers and the builders are concerned about getting a new rep every year. You run a sales contest and the prize is only $100 or dinner for two at Red Lobster. Forget it! You’ll only get the full attention of your sales reps if you offer something of greater importance like a cruise or a complete entertainment home theater. You never follow up to see if any of the appointments your sales reps make turn into new builders or sales. Your sales department doesn’t have a list of builders they can use as references. Most factories are afraid of what the builder will tell the prospect! You spend too much time on low producers and not enough recognizing your top producers. Only your top producers can increase your sales performance. Your sales force can’t answer this simple question, “How is your average builder benefiting from using our homes”? Now that’s sad! It takes too long to get newly hired sales reps productive and you quickly lose faith in them. It takes at least 6 months for a new rep to get their first sale and about a year before they bring in their first new builder with an order. Get serious about training and this timeline will be cut by months. No one can remember the last time they had fun at work. Damn. Having the best house at the best price will never happen. Even if it did, it will never guarantee sales success. Success always goes to the team with the best sales skills. Do something to get those skills.